Complex, vast, ambitious things captivate humans: composers too. We enjoy being dwarfed by an idea and we are excited by creations that explore and exceed boundaries. And so is it is with music which attempts to break free of the parameters of normal, quotidian life. 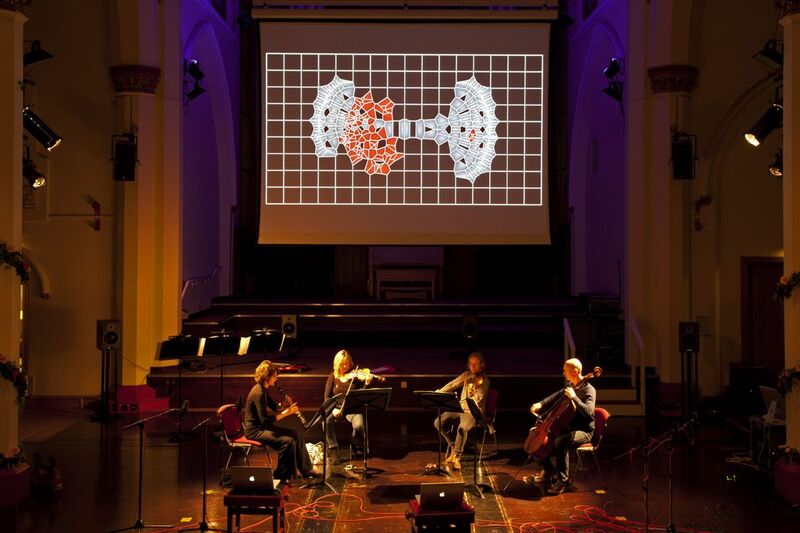 This programme includes musical and visual works which capture monumental and challenging ideas (cells, swarms, genetics…) and present them in an analogous language. These pieces embrace and revel in the idea that it is thrillingly impossible to comprehend the whole of what is going on at any given moment. As Brian Ferneyhough said, this is a basic condition of human life: we simply grab hold of a thread, and hang on.